2 April is World autism day, with the week surrounding it (1- 7 April) being World Autism Awareness Week! The goal of the day, and the week, is to spread awareness about autism, making more people aware what it is and what it means being autistic. Every one of us are different, and the same goes for anyone with autism. There are certain difficulties that autistic people might share, such as social interaction and communication difficulties and sensory sensitivity – but it’s important to remember that each individual are different and some might find things more difficult than others. Many people with autism have a intense and often high-focused interest in specific topics or areas – something that can work in their favour if they choose to work in that field. If you would like to know more about autism and the autistic spectrum, these books are a good place to start. Introduces a new model pioneered at the SACCADE centre of expertise on ASDBoth authors are experts on autism are originators of the SACCADE model, and one has lived experience with autismWith stories contributed by Kim Thúy (author of the Governor General’s Award–winning novel Ru) on parenting child with autism. For every child diagnosed with autism, there are usually two worried parents who may not have a clue about the condition or how best to help their little one. Jessie Hewitson’s son was two-years old when he was diagnosed with autism. Like many other worried parents before her, Jessie’s immediate instinct was to learn everything she could about the condition and how best to support her child. But when The Times award-winning journalist embarked on her own investigative process, she soon uncovered a cloud of conflicting, panic-inducing information. She realised that advice from unsafe corners of the Internet, strangers and even well-meaning friends can make you feel overwhelmed, vulnerable and disheartened. She decided to write this book to provide other parents in similar situations with a wealth of practical and reliable support, all in one place. A guide for parents and professionals aims to provide insight and advice to empower others raising, supporting and caring for children with autism to deal with experiences that can be challenging and overwhelming but also extremely rewarding. Written from first-hand experience by an author who is both a parent of a child with ASC and a primary SENCo, this book pinpoints areas where a child with ASC and/or their parents may struggle, covering many aspects of autism from diagnosis, schooling, and puberty to siblings, sensory issues and diet. This book provides friendly and accessible information and approaches topics in alphabetical order, allowing parents and professionals to dip in and out to access information and support. This friendly book offers a blueprint for family life with autism by using rooms in the home to represent key developmental areas. There are ideas and routines to try at home, including advice on toilet training, diet and nutrition, sensory play, and much more, and you can dip in and out of chapters as you need information. A father’s first-hand account of what life is like with his daughter María who has autism. On a trip to the Canary Islands in Spain, some challenges arise as a result. This book shows how the two work around these issues and gives insight into how María sees and experiences the world. Johnny is 19. He likes music, art and going to the beach. He is also autistic – he will probably never get a job, never have a girlfriend, never leave home. And over the last 18 years this is what his father, TV producer and comedy writer Henry Normal and his wife Angela have been trying to come to terms with. 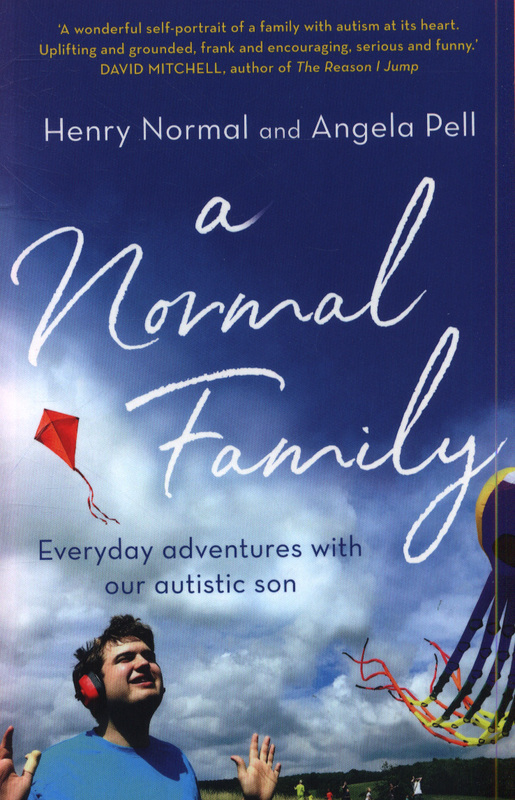 This is a book for anyone whose life has been touched by autism – it’s about the hope, the despair, and the messy, honest, sometimes hilarious day-to-day world of autism, as well as a wonderful, warm book about the unconditional, unconventional love between a father, a mother and a son. Writer Judith Newman never had any illusions that her family was ‘normal’. She and her husband keep separate apartments – his filled with twin grand pianos as befits a former opera singer; hers filled with the clutter and chaos of twin adolescent boys conceived late in life. And one of those boys is Gus, her sweet, complicated, autistic 13-year-old. With refreshing honesty, ‘To Siri, With Love’ chronicles one year in the life of Gus and the family around him – a family with the same crazy ups and downs as any other. 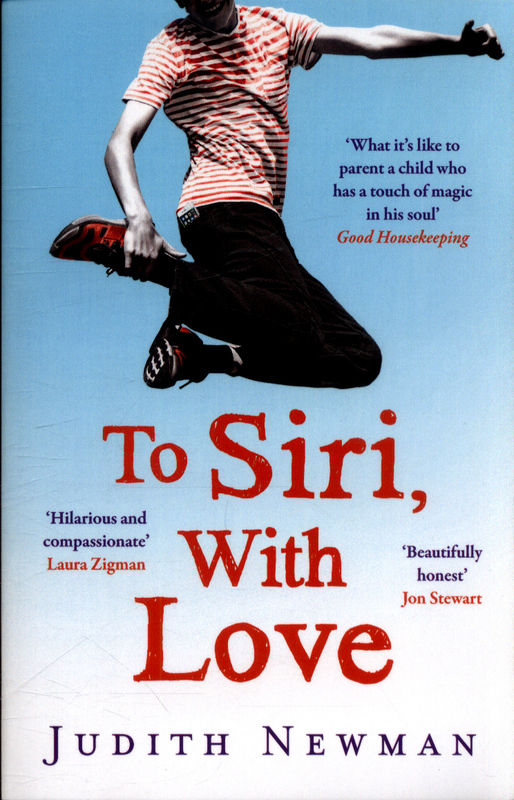 And at the heart of the book lies Gus’s passionate friendship with Siri, Apple’s ‘intelligent personal assistant’. We have a number of books to help explain autism to young children, have a look here. National Autistic Society have useful information and support for an one who needs it.